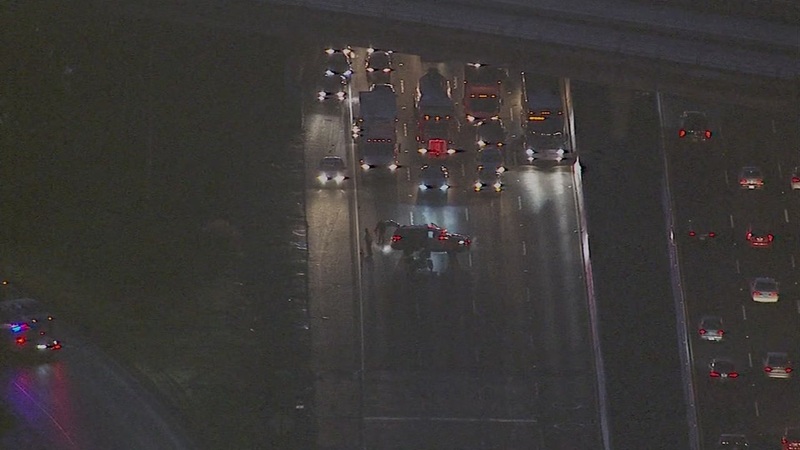 HAYWARD, Calif. -- California Highway Patrol officials said all northbound lanes of Interstate Highway 880 in Hayward are open again this morning after officers cleared a fatal pedestrian collision from the highway. The lanes reopened at about 8:30 a.m. on Highway 880 just south of the West Tennyson Road off-ramp. The collision was reported at about 5:45 a.m.
Officers issued a Sig-alert just after 6 a.m. when they blocked all northbound lanes on Highway 880 at Industrial Parkway West. Traffic was diverted off to Whipple Road. CHP officials canceled the Sig-alert at 8:38 a.m.